Every climber needs a robust, all-round go-to rope that they can abuse at the crag. Something to use when working a project, top-roping or teaching a friend how to climb. While all these sleek new triple rated, by-patterned, dry certified, sub 9mm ropes on the market are great, they’re also quite specialized and not really meant for everyday cragging. For that type of service the Edelrid Boa Eco (also called the Parrot) is just the ticket. 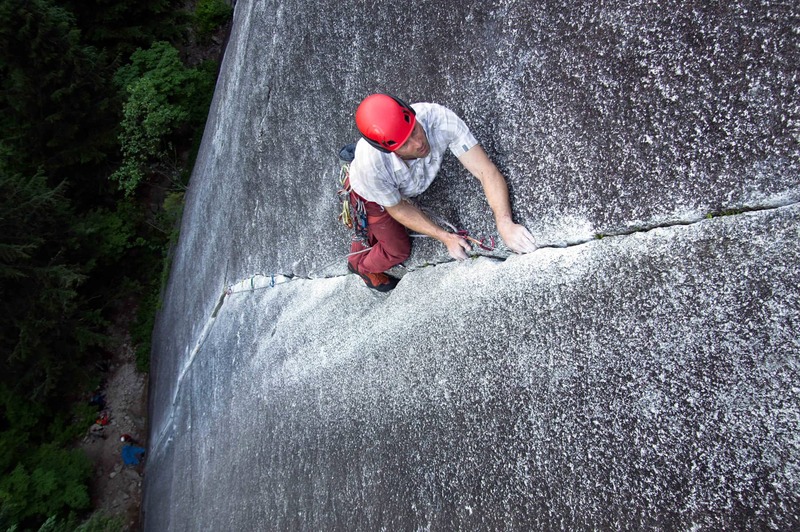 Cragging at the Grande Wall base in Squamish, BC with the Boa Eco rope. This affordable and very durable rope is soft and supple when you buy it and stays that way, pitch after pitch after pitch. The Thermoshield™ treatment keeps the rope soft, even after it gets wet where many other ropes stiffen when they dry and never feel the same again. Bluesign Certified and each one is unique! At 9.8mm it’s rather thick by today’s standards where sub 9mm is becoming commonplace, it climbs and belays like a much thinner rope. The Boa Eco feeds very smoothly through draws and is easier to belay with than some thinner ropes I’ve used such as the Infinity 9.5. As an added bonus this high quality rope is Blue Sign certified and manufactured with yarn left-over from making other ropes. This gives each Boa Eco a distinctive look as each is made from a different selection of colors as well as an ecological footprint. Cons: Hard to find one! Of note is that it’s a summer rope as there’s no dry treat. 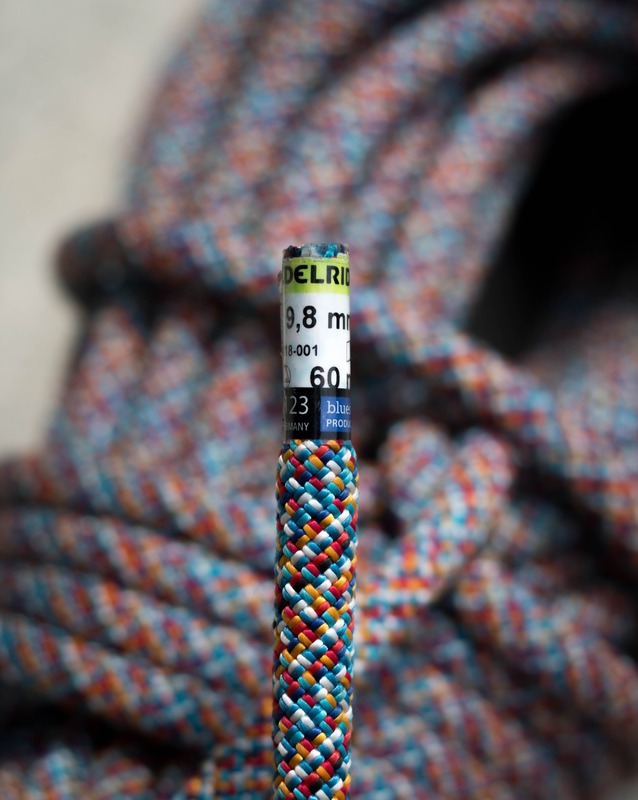 Overall: The ideal everyday go-to climbing rope, great for the crag or working your project. Cover photo and climbing photo by Bonsta.ca. Edelrid provided a review sample but this didn’t influence us in any way.